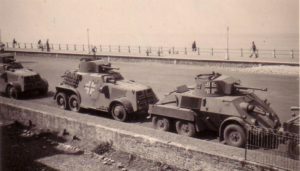 In December of 1934 an order was placed with the Swedish company AB Landsverk for 12 Landsverk L181 armoured cars and one spare chassis. 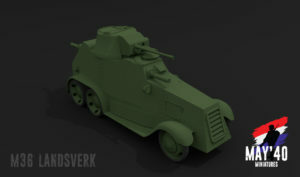 This armoured car would be named the M36. It had a Daimler-Benz chassis with a Swedish body and turret. 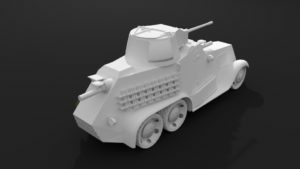 Also 2 extra modifications were added, the 20mm canon was changed to a 3,7 cm gun and an extra machinegun position was added to the back armour. In 1937 it was decided to place another order but for 12 of the type L180, a modified version of the L181 on a Bússing-Nag chassis. This car would be called the M38. The M36 was to serve with the 1e eskadron pantserwagens and the M38 with the 2e (1st and 2nd armoured car squadron). Later on the M36 was modified again, for one, the panel armour on the engine compartment was changed. 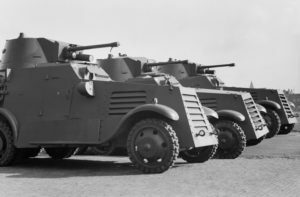 Also with the same order for the 12 M38’s 2 more were ordered in a command variant, these were to have no guns but kept one machinegun in the front armour and the option of having a 2nd in the back. The turret would have a drawing/chart table in the turret as well as extra periscopes. The turret would be fitted with a fake wooden gun. 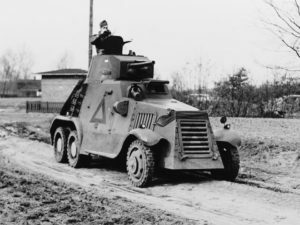 The Landsverk was quite a modern armoured car in 1940. 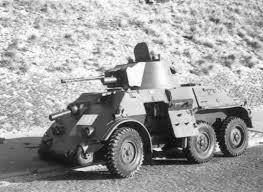 The 37mm gun was quite heavy for an armoured car contrary to other nations who would fit 20mm or 25mm tops. 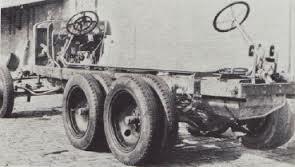 The chassis however was quite ridged and unsuitable for rough terrain. Tracks could be fitted to the rear wheels but that would prove quite unpractical when under fire. Already in 1940 13 DAF (Pantrado’s) M.39 would be ordered because of the M36 almost being worn out. Both squadrons were divided between Vesting Holland and the Grebbelinie. 2 platoons were stationed at Ypenburg airport and the other 2 were divided on the north and south part of the Grebbelinie. The M36 and M38 proved themselves quite admirably during the 5 day war in May 1940. When in contact with the enemy the were quite capable to handle themselves in modern conflict. No Landsverk has been taken out of action due to direct enemy fire. The armour did prove vulnerable and seams between moving parts gave problems, also the insulation rubber would melt due to enemy fire. Those cars that were taken out of combat had engine trouble or were damaged due to the bombing of Ypenburg. 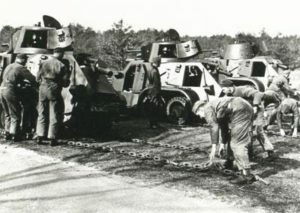 Some cars were damaged due to enemy fire, the front enginecompartment armour proved vulnerable. Combat with the SS Leibstandarte Adolf Hitler and the 227 infantry division together with the defense of Ypenburg against the paratroopers are the most prominent achievements of the Landsverk armoured cars against the Germans. 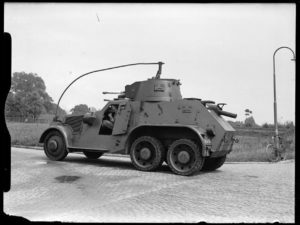 After the capitulation the armoured cars were used by the Germans under the name Panzerspähwagen L202 (beute = prize). Both the M38 and M39 in German service. Task: reconnaissance, security (on the flanks), communication, manouverable fire support, support for the infantry and in peacetime support for the police during internal trouble like riots. Ammunition: high-explosive and high-explosive armour piercing. Combat weight: ca. 7000 kg. 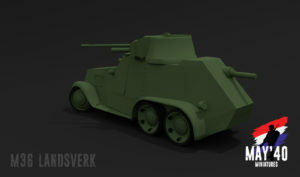 LxBxH: 5.87 x 2.24 x 2.33 m.
Armour: turret: 9 mm., rest 5 mm. particularities: 2 stearingcolumns and 2 drivers; no radio or intercom; ridged chassis and body. 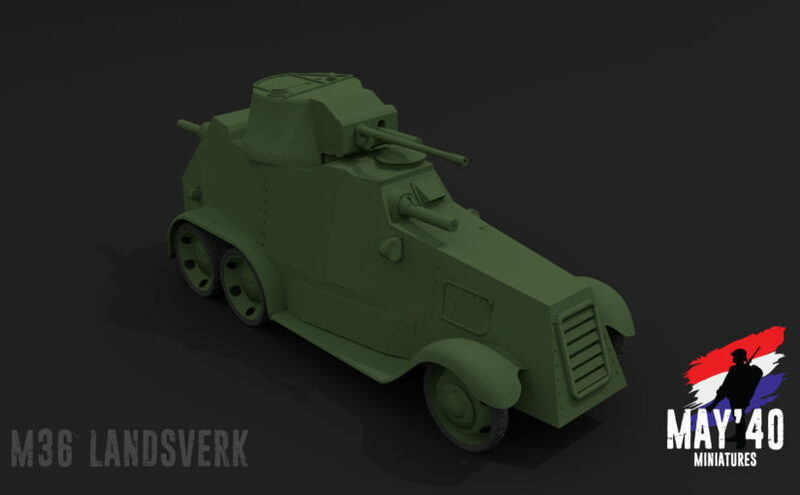 May ’40 Miniatures will be releasing the Landsverk M36 sometime in the first quarter of 2017 (if everything goes to plan). we are working frantically to get it ready for production. 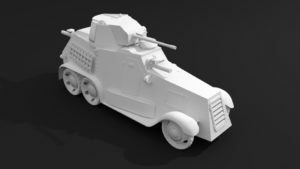 We’ve gone through several itterations so we can deliver you a product that is both accurate but also usable for wargaming. 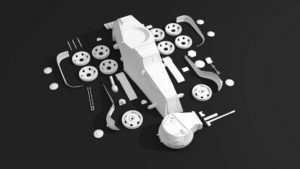 In the future we will probably also release it in an even more detailed kit suitable for the modelling community. It’s weird to say happy reading at the end of this post, but even so; happy reading! Picture credit: pictures were found on the internet on several websites and or given to me by private persons. National Military Museum, Fred Bachofner, Wikipedia. No intent whatsoever to infringe on any one’s copyright. Previous Previous post: May ’40 miniatures launched on the 10th of May 2016.